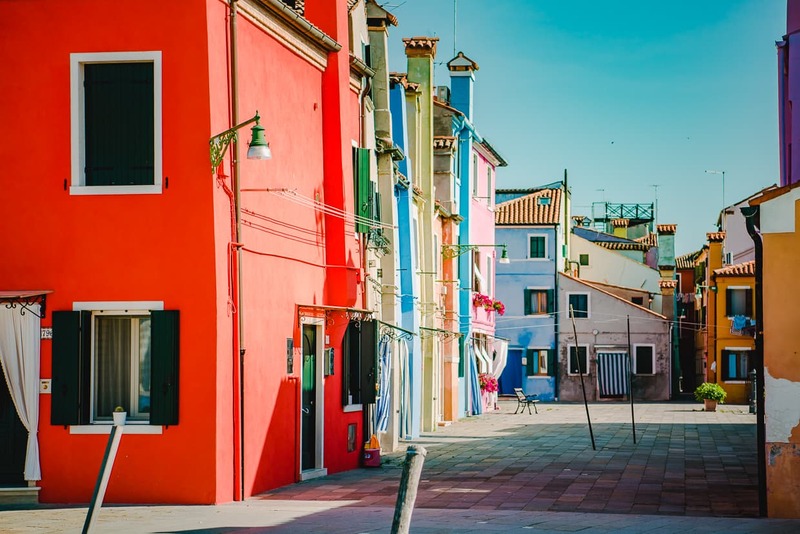 Burano is probably the most photographed Island in the Venetian Lagoon, apart from the island of Venice, Italy itself. 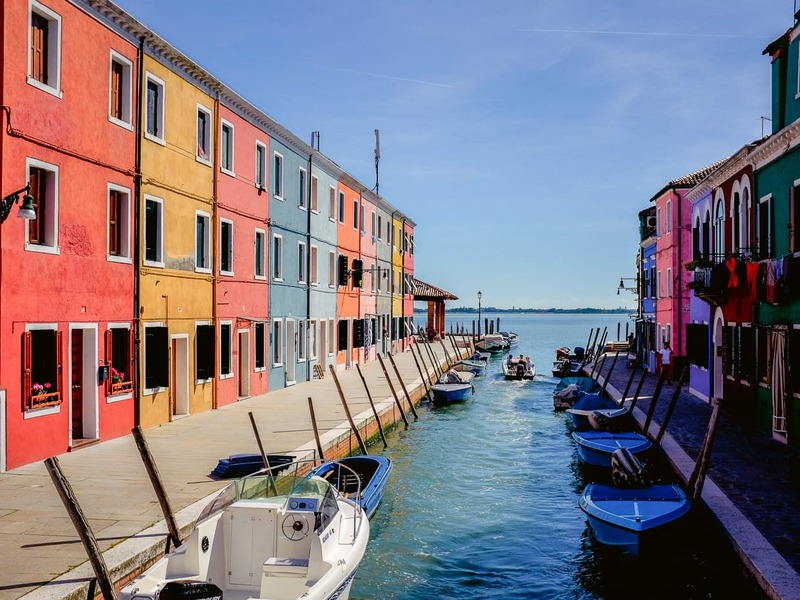 Burano has a few rooms for rent, but the island is so small and remote that most visitors decide to go there as a day trip during their stay in Venice, often grouping it with the other two most popular islands, Murano and Torcello. 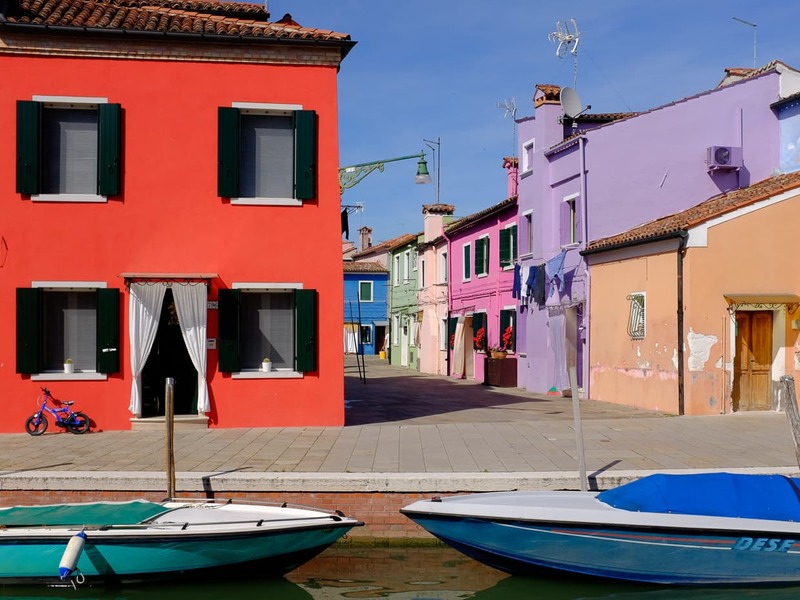 Even if the name “Burano” doesn’t ring a bell, you might know it as the Venetian island with the colorful houses. We visited twice during our month in Venice. Once to explore and relax, and once in the early morning to take our photos. 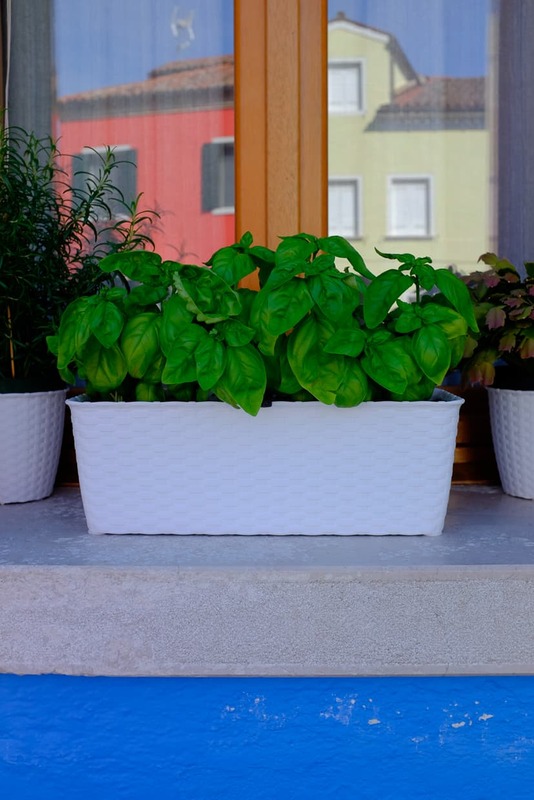 By the way, this post contains affiliate links. 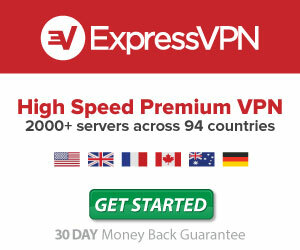 If you click on one and make a purchase we will earn a small commission at no extra cost to you. These commissions help support our travels and this website. Thank you! We made two trips to Burano. One was with our daughter and one was by ourselves, while Lisa’s grandmother watched her for the day. Both times, we coupled our visit with a stop on the neighboring island of Torcello. With our daughter, we arrived very early so that we’d have good light and empty streets. 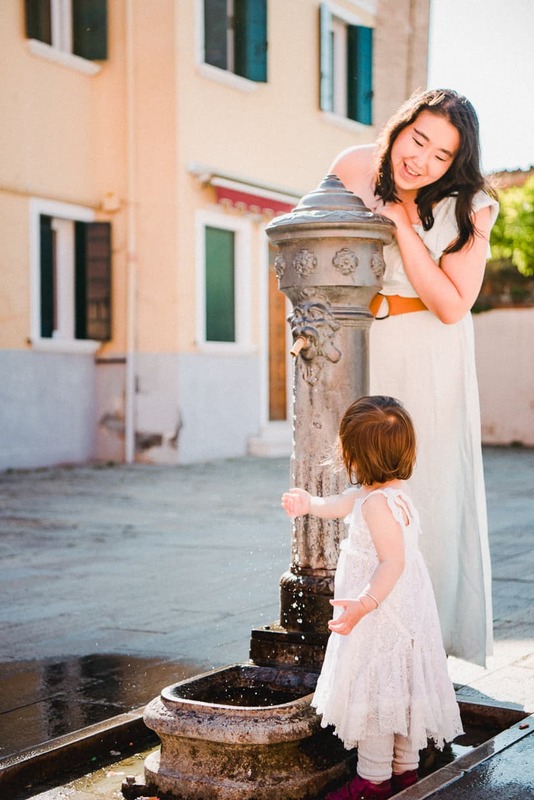 We wanted to take some family photos in one of Venice’s iconic locations, and we wanted to let Lisa walk around without worrying about losing her in the crowd. It was nice and cool in the morning, and sure enough, at 8:00 the only people we saw were locals who were getting ready to open their shops. The morning light was casting long shadows across the streets, and glistening on the water. 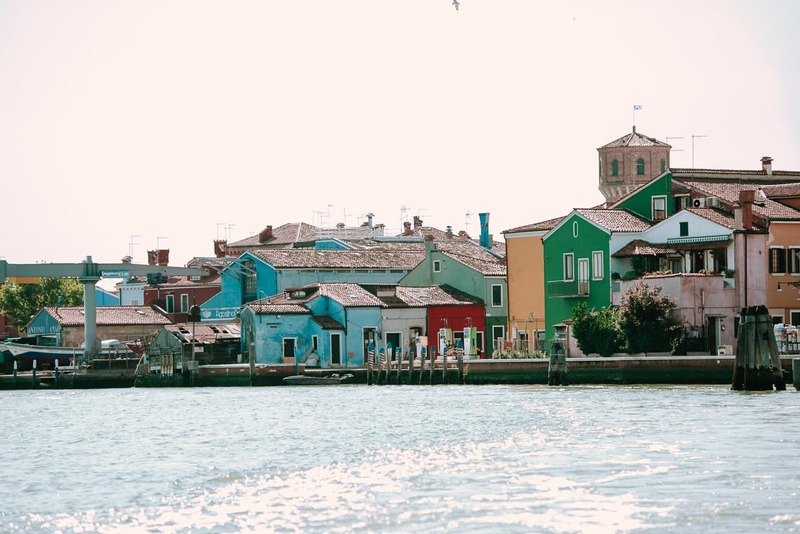 As we approached Burano, we could see the colorful houses from a distance, along with a couple of towers that rose above the other buildings. As we disembarked, Lisa was eager to get on the ground. 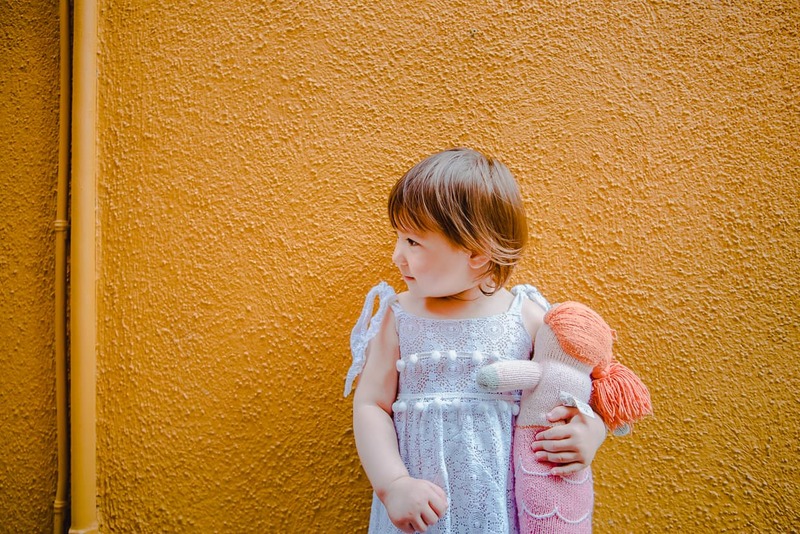 They say kids like bright colors, and there certainly did seem to be some kind of magnetism between her and the Island. When it was time for us to take our photos, Lisa was more than happy to ham it up. She knew where she wanted to go, and what she wanted to do, and luckily she has great taste, not that there were a lot of unattractive locations. We came upon an art class where aspiring painters were also taking advantage of the morning light. We stepped behind them for a moment to see how they were interpreting the scene. A few of them were pretty good! Lisa wanted to help with the paintings, but we thought the artists might not appreciate it. By the time we were ready to move on, a few other tourists were starting to appear. We caught the ferry from Burano to Torcello and moved on. 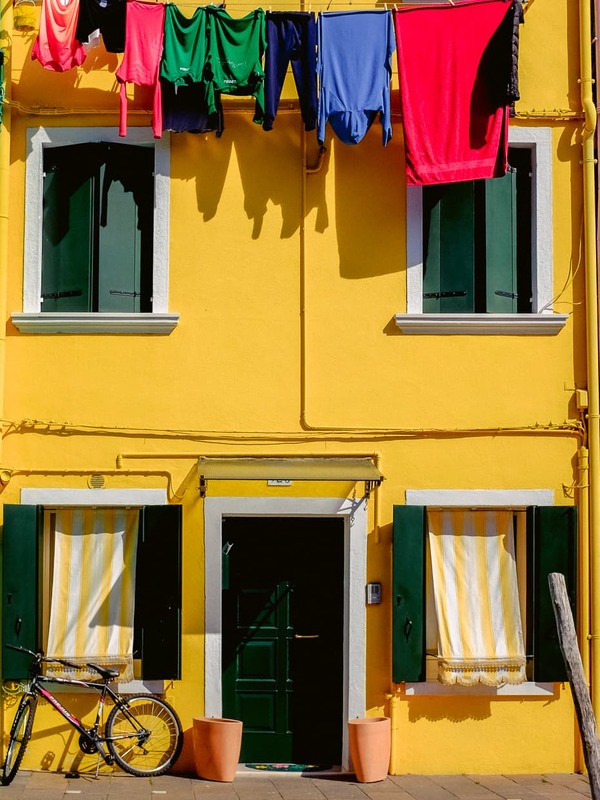 The houses on Burano are almost shockingly colorful. When we arrived, we were delighted to find that all those images we had seen weren’t just photoshopped; that’s what it actually looks like. 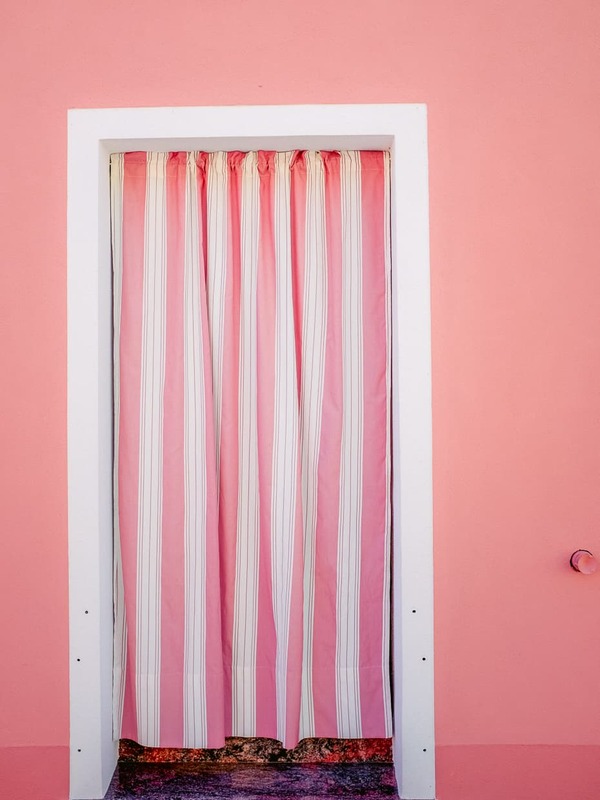 The walls, the doors and the window frames are all brightly painted, and as far as I could tell, no two houses had exactly the same color combinations (thought I didn’t check very carefully – if I’m wrong, call me out on it in the comments). 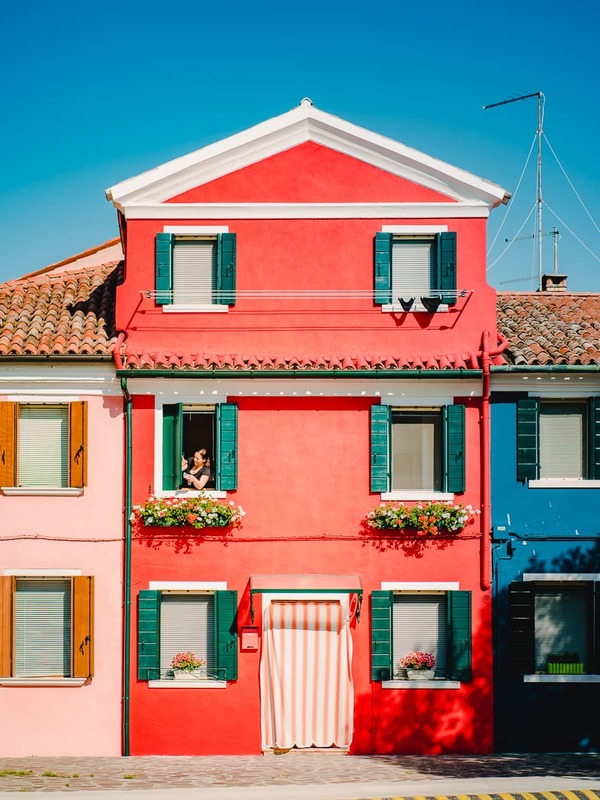 Why are the houses on Burano so colorful? Well, today it’s government mandated for historical purposes, but that’s not a very satisfying answer. All my online searches came up with was that fishermen used to paint them that way so they could find their homes when they returned from sea on foggy nights. That’s fun, but obviously untrue: to see through fog you need a light house, and recognizing your own home is easy. I swear our gondolier told us that the houses were painted brightly as a defense against the plague. It was either a way to indicate that the house was plague-free or a reaction to some perceived protection that the paint inferred. I could only find one brief source that seemed to back this up, but I think it makes more sense. Either way, the houses are very pretty, and you’ll enjoy looking at them and posing for photos in front of them. Burano is also famous for its handmade lace products. 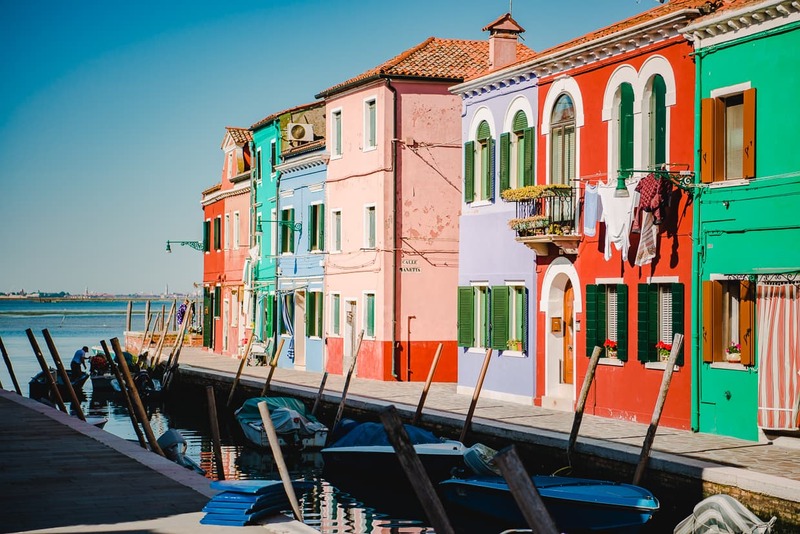 Of course, much like the famous glass on the nearby island of Murano, most of the lace sold to tourists on the island is no longer made this way. We certainly enjoyed going into the stores to look at the lace, even though we had to keep Lisa from playing with it. A lot of the shops have signs outside forbidding you from taking pictures of their products. I don’t fully get what their thought process is there, but if they figured we’d be more likely to spend a hundred dollars on a scarf if we hadn’t taken a picture of it, they were mistaken. 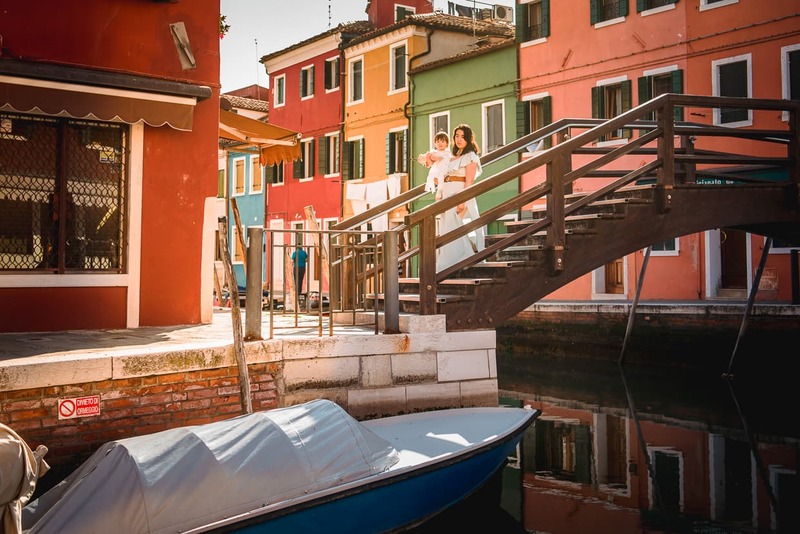 If you are trying to tell the difference between authentic Burano lace and something imported from China, the price is probably a good indication since the handmade product is very time consuming. 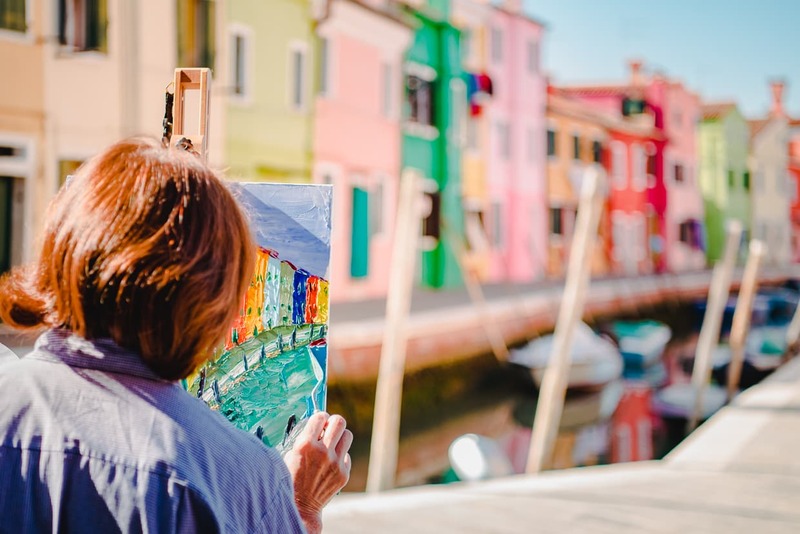 We didn’t visit Burano to shop for souvenirs, but we do find it interesting when an entire community has a history in one particular craft or industry. A year later when we visited the village of Zhoucheng in Yunnan, China, their focus on traditional tie-dye art reminded us of the Burano Lace. 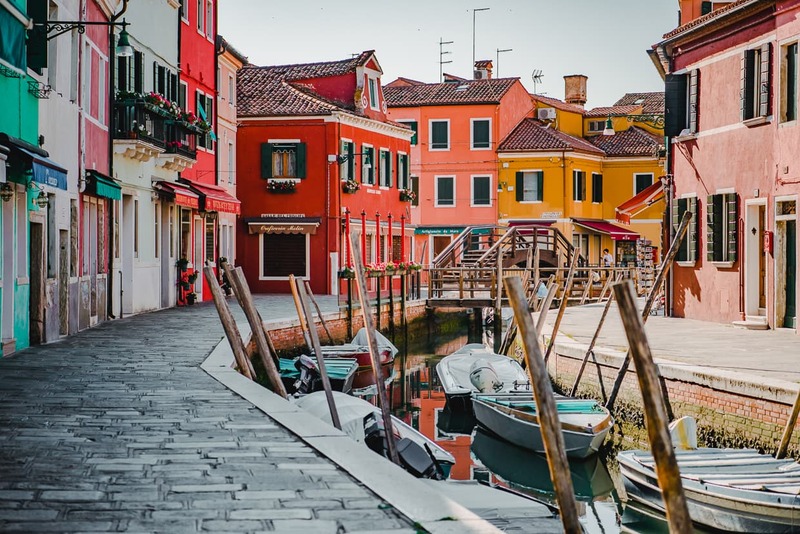 Like the main island of Venice, Burano is carved up by canals, and its streets are connected by pedestrian bridges. 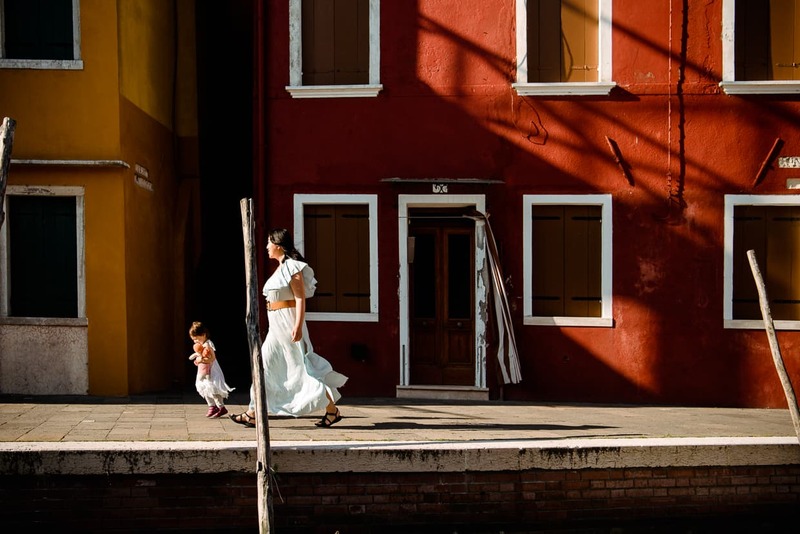 If you are going there with a stroller, just be aware that you will have to carry it over stairs every once in a while while exploring the island (read our pros and cons of Venice with children). That being said, the waterways really set the scenery apart from other colorful towns around the globe. A canal in Burano and the Venetian Lagoon. 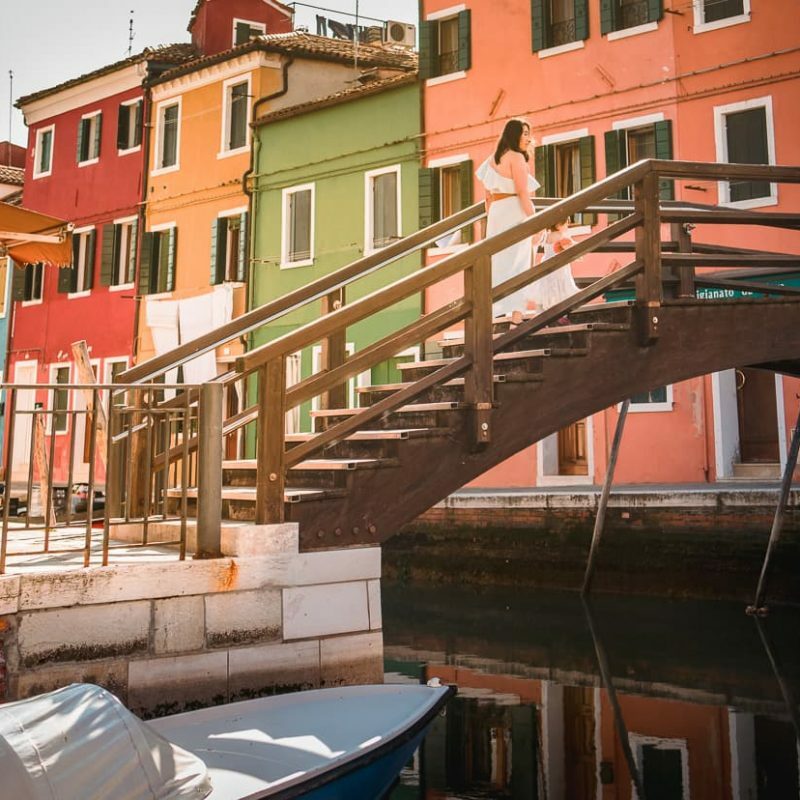 This island of Burano (Google Maps) is in the northeast corner of the Venetian Lagoon. It is not connected by bridge to either Venice or the mainland of Italy, so the only way to visit is by waterbus or water taxi. Unless you are in a really big hurry, you will want to take the waterbus instead of the much more expensive taxi. You will be leaving Venice from Fondamente Nove A (Google Maps). You will be taking line 12, which departs frequently during the day. Even though Google Maps can give you directions that include the next departure time that you are likely to catch, you should still go to the official ACTV website to download the timetable. The reason for this is that the frequency of the waterbuses changes in the evenings, and you need to plan your return trip. 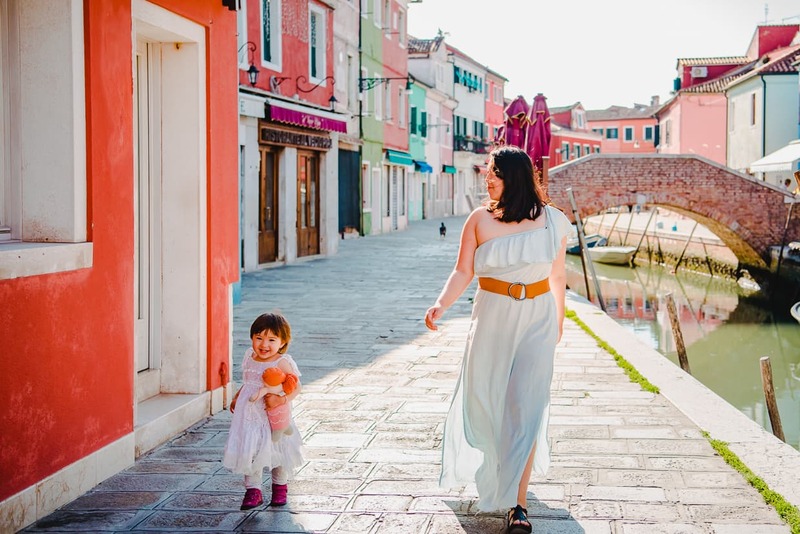 We recommend getting around Venice on foot, even if you have kids with you, so you don’t need to buy a weeklong waterbus pass or anything like that. A simple one or two day pass will do. Go to the official ACTV website for up to date ticket prices and purchase locations. Remember that if you buy a one or two day pass, your time period starts from the moment that it is validated, not from the moment of purchase, so it’s ok to buy it in advance. To validate your ticket, you simply put it next to the little box at the ferry terminal before you board. Don’t get busted riding the waterbus without a validated ticket! And whether you are inbound or outbound, remember to check which way the boat is headed before you get on. If you can’t tell just by watching which way it came from, go ahead and say the name of the destination to the staff. They are used to tourists and will tell you if it’s the right boat. 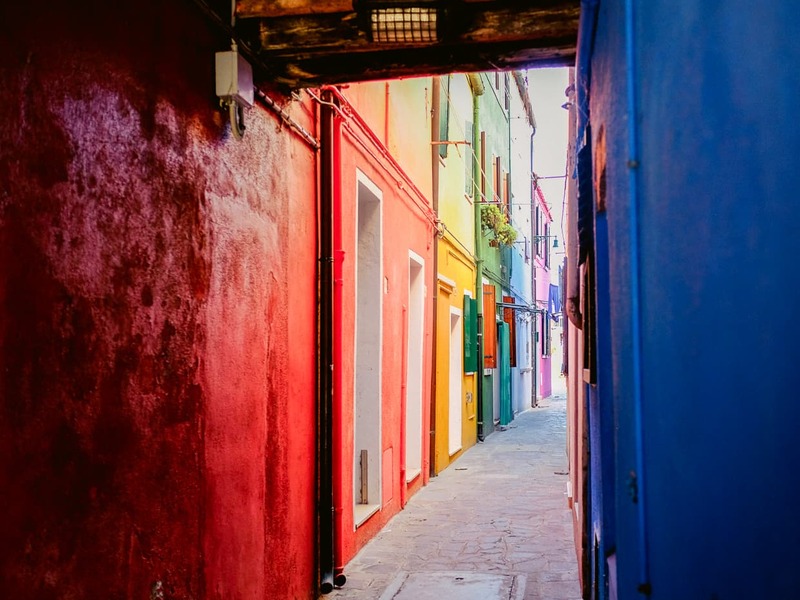 Burano is a fun visit, but if you plan your trip right it will be even better. 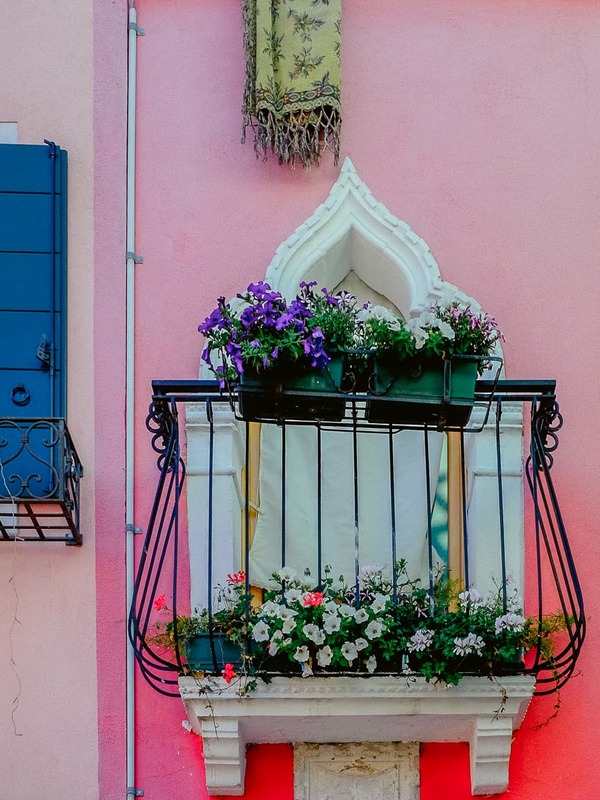 We found that the best time to visit Burano was in the morning. There really isn’t a lot of shade there, and by the time mid-day in May rolled around, it was already unpleasantly hot and sunny. Plus, tourists are lazy and they don’t start showing up in droves until around 10 in the morning. We tend to arrive at attractions before they are open because we are mostly interested in photography. 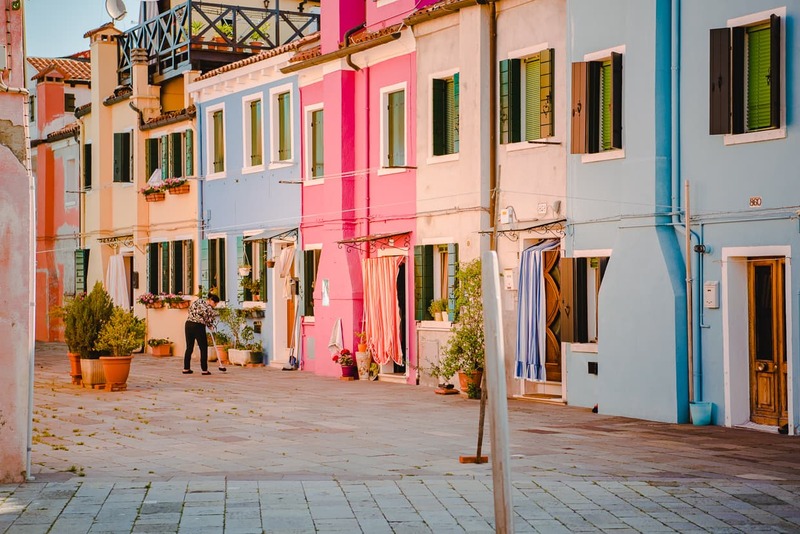 If you want to take photos of Burano with empty streets, try to be there before 8:00. The lighting will be better then too. Of course, being in the right place at the right time is only part of the job. 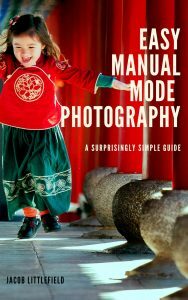 Open up the shop page for my e-book, Easy Manual Mode Photography in a new tab, so you’ll know how to get the images you’re looking for once you’ve made that long journey. It costs a lot less than the trip you’re planning, but you’ll have the photos long after you get home. Here are a few things you might want to bring with you. 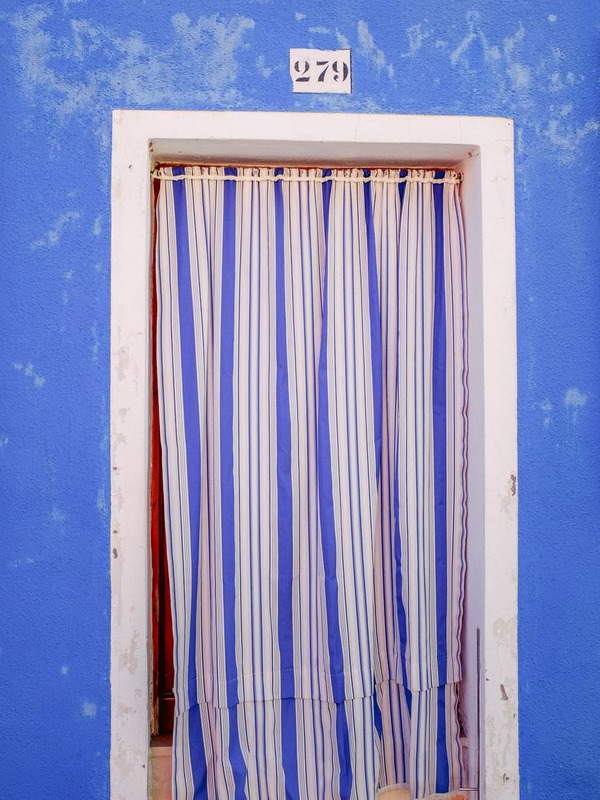 Sunblock – Like I said, there’s not much shade on Burano, and you are going to be walking around a lot. 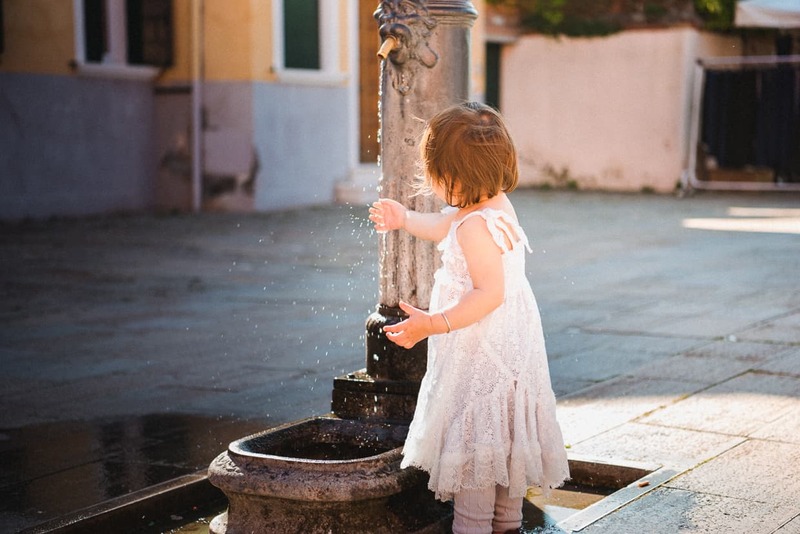 Little ones are especially vulnerable to the sun because they aren’t aware of how much exposure they are getting. We use this sunblock because it lacks certain scary chemicals for our daughter and because SPF 50 is basically 100% protection. Reapply! Water Bottle – Water, water everywhere and not a drop to drink! Yes you are surround by the stuff, but bring a couple of bottles in your backpack so you don’t get dehydrated. You can buy water on Burano, but odds are you’ll get a better price at the grocery store in Venice. Lunch – Same deal as the water. 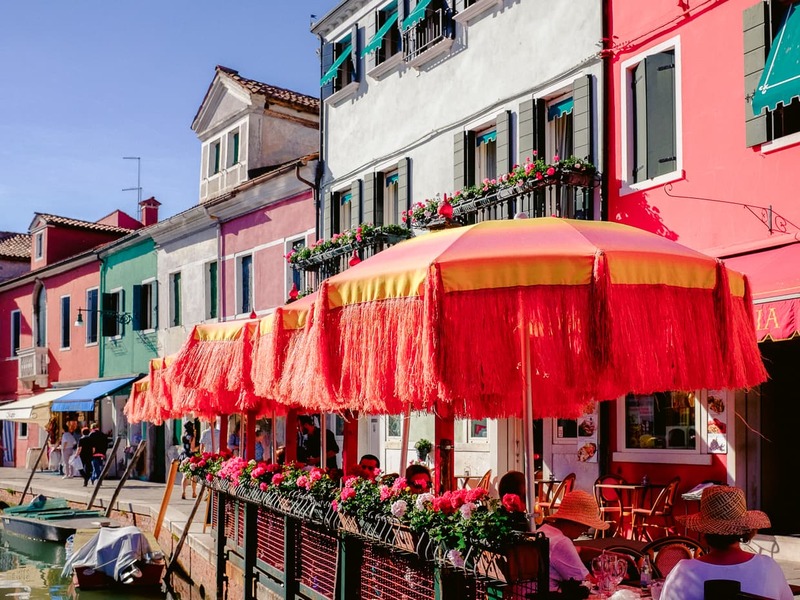 There are restaurants on Burano, but because the location is so isolated, supply and demand drive up the prices a little. Of course, if you are just there to relax and enjoy the scenery, maybe you don’t mind paying for a meal and people watching from a street side table under a colorful canopy. Actually, we might have gone for it too if we didn’t think a toddler would kill the romance. Instead, we packed sandwiches and pastries from Venice and ate under the shade of a tree – could be worse! 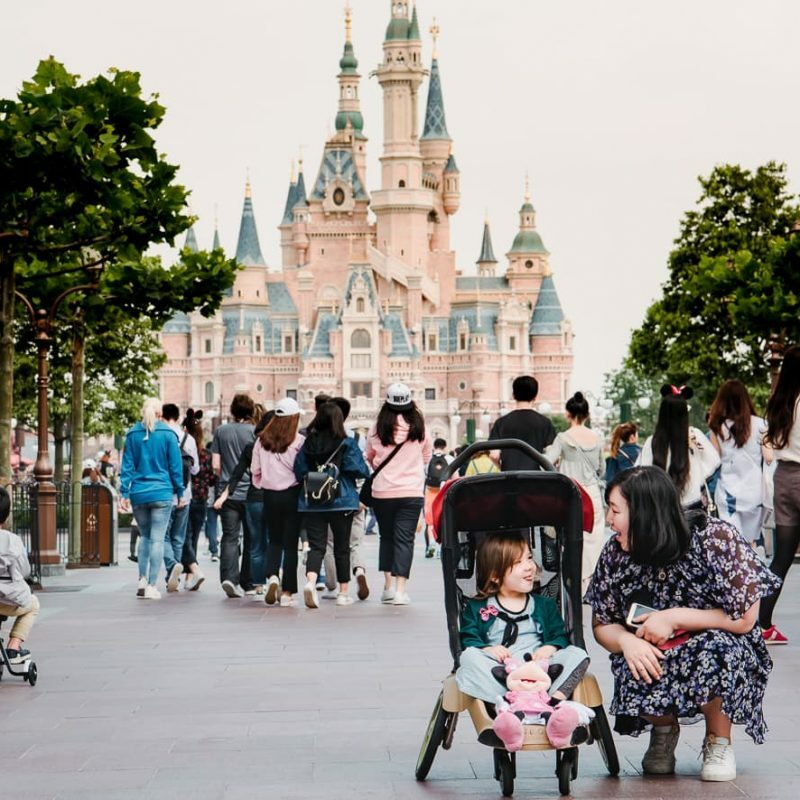 Baby Carrier – Even though you could theoretically bring a stroller with you – you are allowed to bring one bag per person on the waterbus – you’ll probably enjoy your trip more without one. If your child is old enough to walk, let them. If not, consider wearing a baby carrier. We like our Ergobaby Omni 360 a lot (read our full review), even though we were using an older version at the time of our trip to Italy. 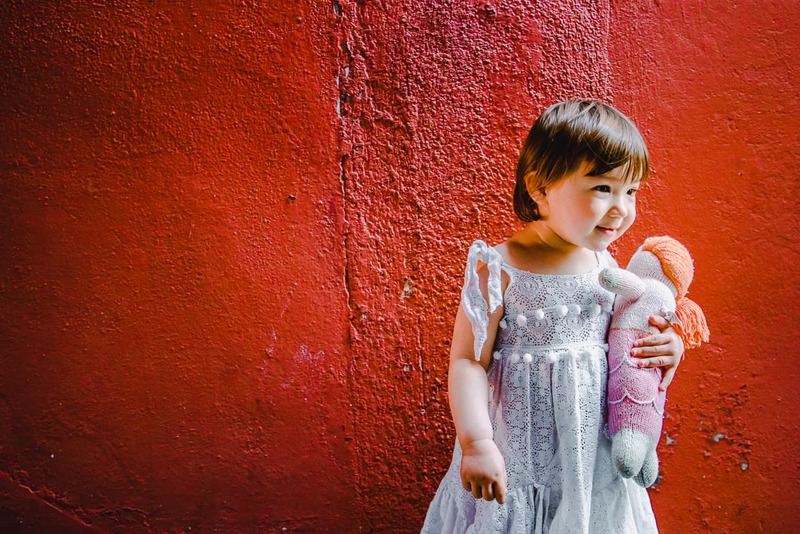 Photography Gear – You went there to take pictures, right? Visit our shop page for a list of some of the gear we use while we are traveling. Waterbus Timetable – Once again, you can go to the official ACTV site to download up to date timetables and use them on your phone offline. Dramamine – Do you get seasick? If so, maybe a trip to the pharmacy is in order before you go touring on the boats. Or if you are still home, you can probably get it cheaper on Amazon. 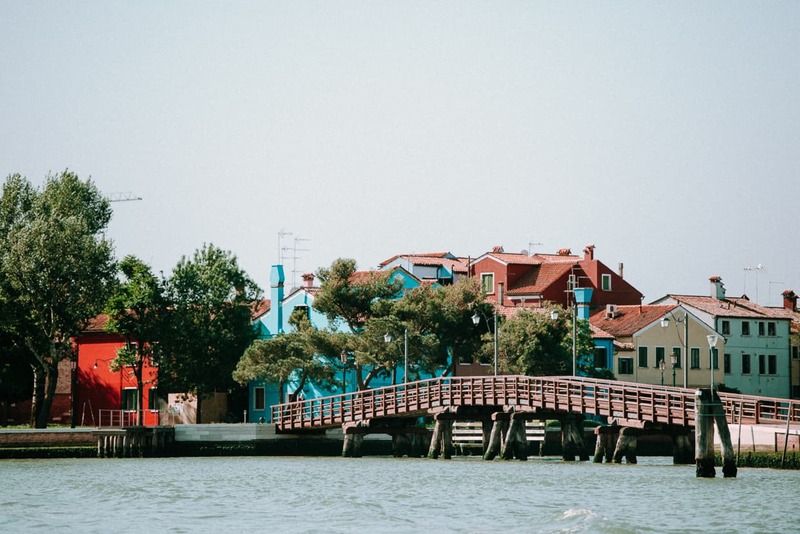 There is only one landing on Burano, and it is next to a small park with a statue and a few shady trees. The main attraction is obviously the canals lined with bright colors, and seeing the best of it in one visit is fairly easy. The routes you will want to follow are obvious at first glance, and they eventually loop back to where you started. Apart from the colorful houses, there is also a Catholic church called Parrocchia San Martino Vescovo (Google Street View), which has a pretty steeple, but is hard to take a good photo of from up close. I preferred our shots from out on the boat where the steeple was visible over the rooftops. Around the perimeter of the island there are a few small parks where it’s possible to get some shade or sit and relax for a while. 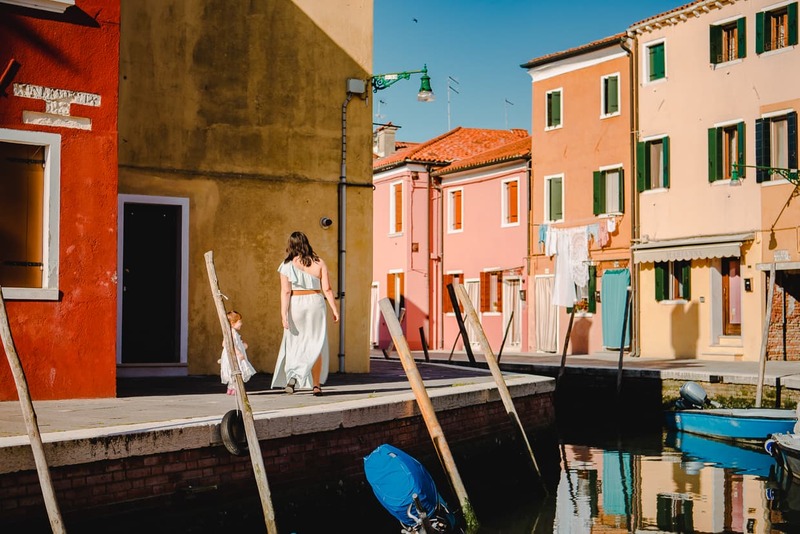 Once you are done on the island, consider a trip across the water to Torcello, a smaller and much more sparsely populated island that is hone to some much more tranquil scenery and a beautiful old church. 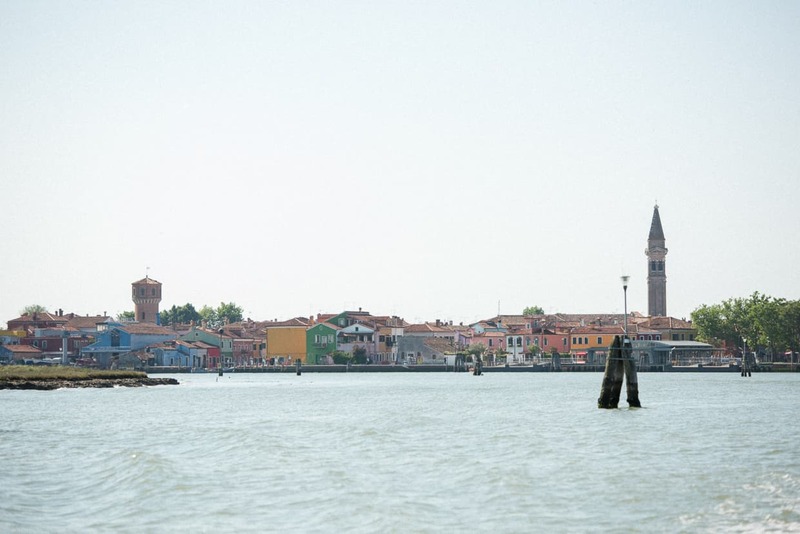 Many people also visit Murano on the same day, but we are used to a slower pace and decided to save it for another day. 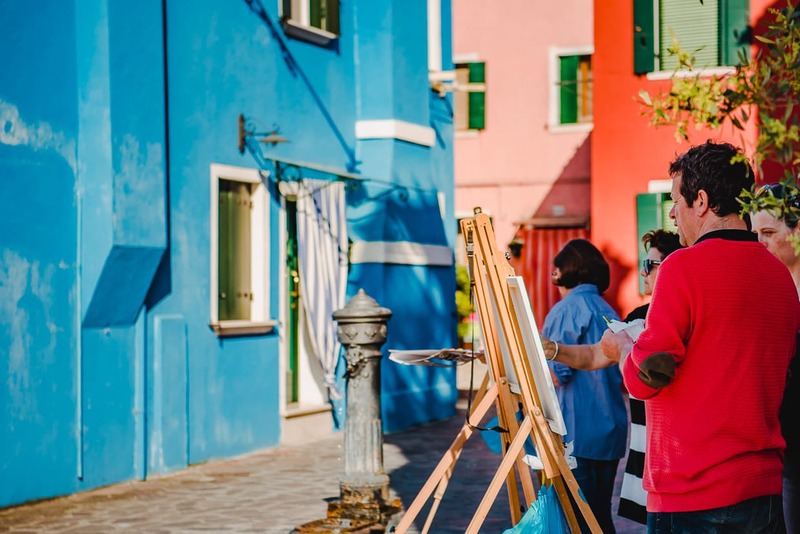 Burano is almost exactly what you expect it to be, for better or worse. 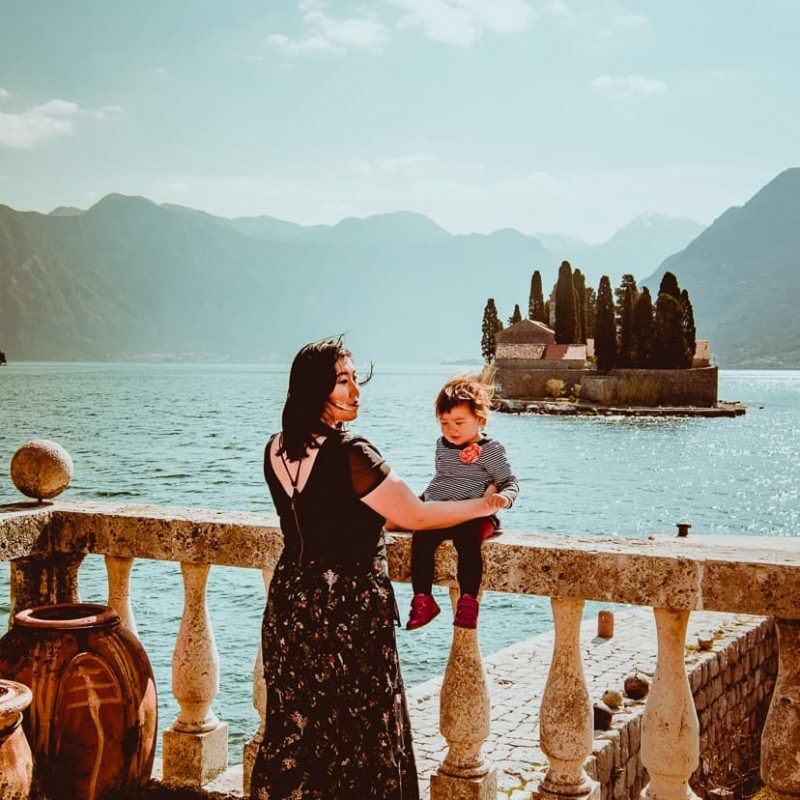 It’s one of the most densely photogenic places you will visit in Italy (or almost anywhere for that matter), and it’s an easy, safe day trip that takes one morning or afternoon. It’s also a little touristy, and it can be crowded if you are there at the wrong time of day or year. 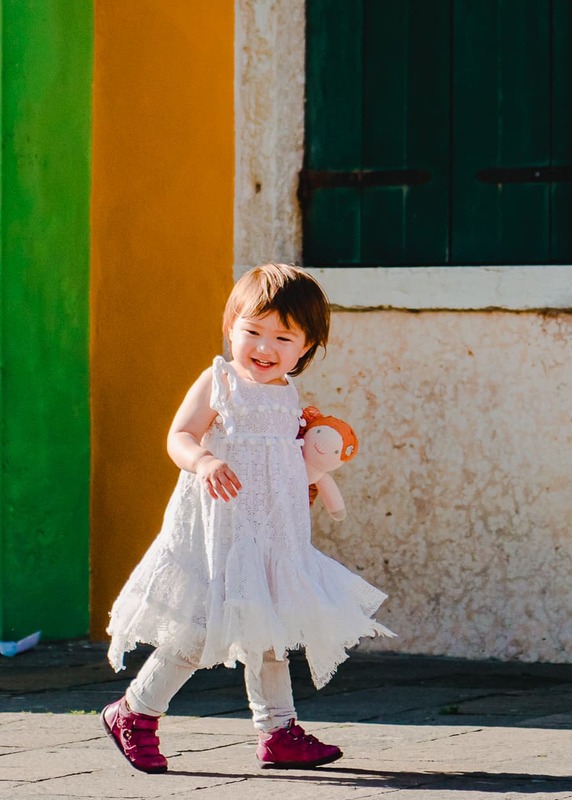 As photographers and parents of a traveling child, we enjoyed Burano. Lisa enjoyed it too. We came home with some great images, not just of the island, but of our family as well. 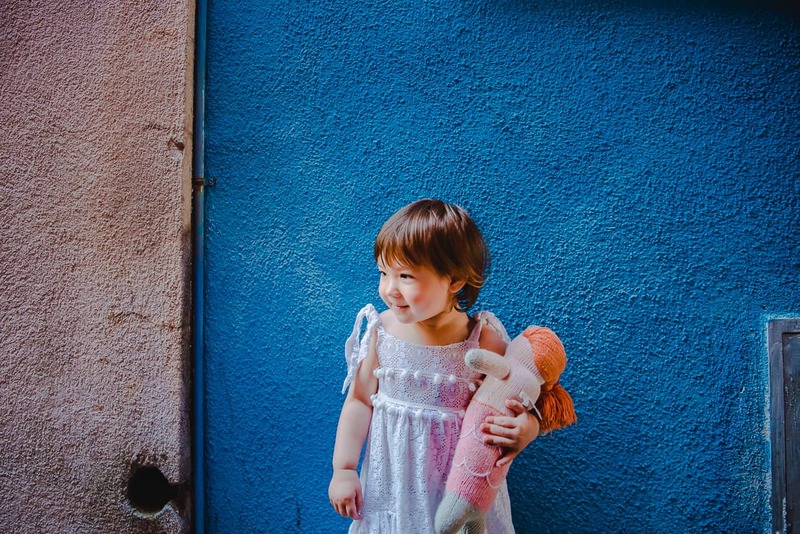 It’s a place where kids can explore every nook and cranny, and it’s unique visuals will stick in their memories. It’s definitely worth a trip if you’ve got a few days in Venice. Thanks for taking the time to read this – we hope it was helpful. 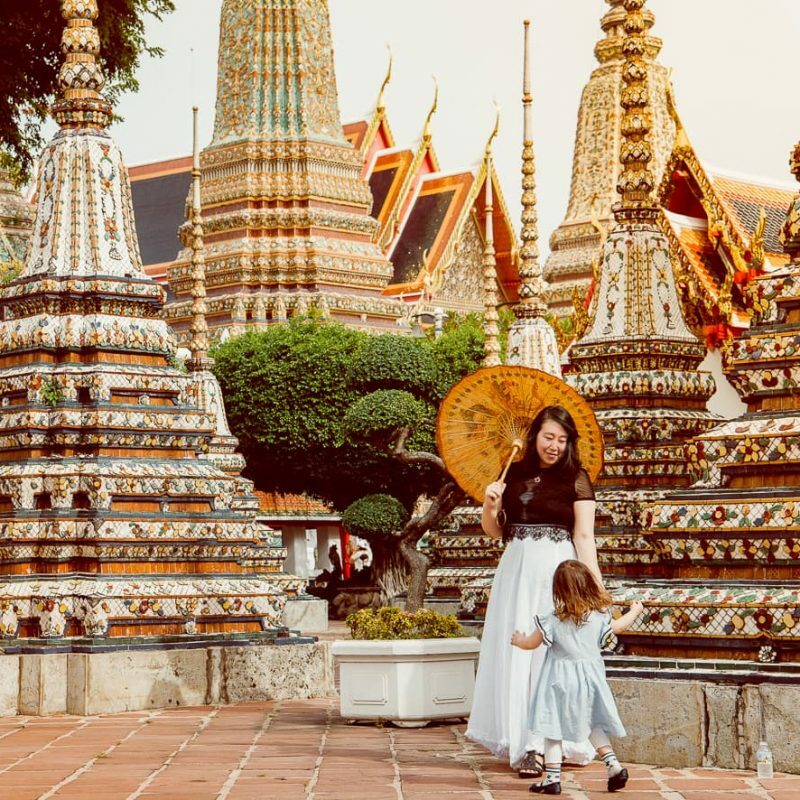 If you enjoyed this article, you might want to browse our destinations page for more tips, stories and photos from all over the world. If you are currently planning your next adventure, consider having a look at our shop or our resources page – it’s a great way to help support our own journeys and this website. Happy travels!